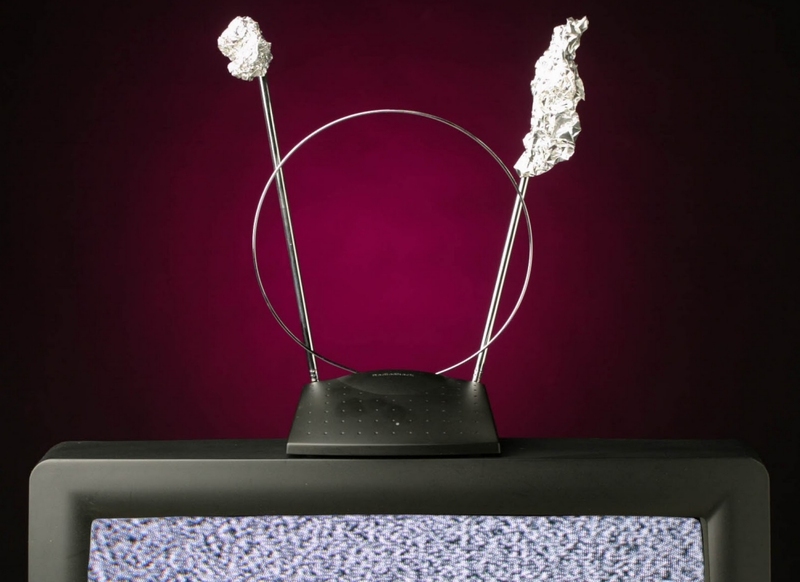 If you are old enough, you might remember your dad balling up tinfoil on the rabbit ears to bring in channel four a little bit clearer. Results of this little trick were negligible at best and usually required multiple applications of foil until it looked like the TV was ready to go bowling. Now it appears that your dad may have been onto something. Researchers at Dartmouth University have discovered that not only will aluminum foil increase the range, reception and speed of WiFi signals, it can also shape them in ways that make your router more secure. However, the method described in their paper differs considerably from your dad’s. Instead of putting foil directly on the router’s antenna, they instead used a 3D-printed shape wrapped in aluminum and placed it around or behind the antenna. The 3D reflector can be custom-formed to fit any router design to shape its signal to precise specifications. For example, you can print one that blocks the signal from going out the window but increases the range, speed and reliability within a specific room in the house. Best of all, it’s cheap and effective. “With a simple investment of about $35 and specifying coverage requirements, a wireless reflector can be custom-built to outperform antennae that cost thousands of dollars,” Dartmouth professor and project lead Xia Zhou told EurekaAlert. To create the antenna aides, Zhou and his colleagues developed a software program called WiPrint. By inputting the desired signal shape requirements, the app creates a 3D-printable image. Once printed, you only need to wrap it up in foil. They have not released the software yet and have not announced a date when it will be available (if at all). However, the team is presenting its research and the software at ACM's BuildSys 2017 in Delft, Netherlands on November 8.